I like the main components of the Trump tax plan, particularly the sweeping reduction in the corporate tax rate. But, as I say at the beginning of this Fox Business interview, there’s a big difference between proposing a good idea and actually getting legislation approved. But just because I’m pessimistic, that doesn’t change the fact that a lower tax burden would be good for the country. Toward the end of the interview, I explained that the most important reason for better tax policy is not necessarily to lower taxes for families, but rather to get more prosperity. If we can restore the kind of growth we achieved when we had more market-friendly policy in the 1980s and 1990s, that would be hugely beneficial for ordinary people. That’s the main economic argument for Trump’s plan. U.S. President Donald Trump’s plans to slash corporate taxes by more than half will accelerate a “race to the bottom” and undermine global efforts to combat corporate tax evasion by multinationals, according to a second political group in the European Parliament. The Socialists and Democrats, made up of 190 European Parliament lawmakers, insisted the Trump tax reform, announced April 26, threatens the current work in the Organization for Economic Cooperation and Development and the Group of Twenty to establish a fair and efficient tax system. As you might expect, the socialists make some nonsensical arguments. Huh?!? Does Mr. Tang think there were tax cuts in the 1930s? 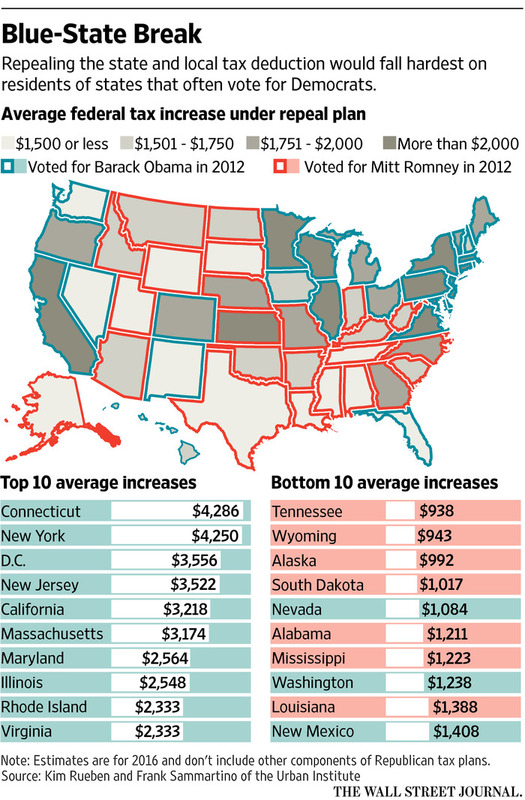 That was a decade of tax increases, at least in the United States! Or is he somehow trying to equate tax cuts with protectionism? But that makes zero sense. Yes, protectionism was rampant that decade, but higher tariffs mean higher taxes on trade. That’s the opposite of tax cuts. Mr Tang is either economically illiterate or historically illiterate. Heck, he’s a socialist, so probably both. Meanwhile, another European parliamentarian complained that the U.S. would become more of a tax haven if Trump’s tax cut was enacted. Sven Giegold, a European Green Party member and leading tax expert in the European Parliament, told Bloomberg BNA in a April 27 telephone interview that the Trump tax plan further cemented the U.S. as a tax haven. He added the German government must put the issue on the agenda during its current term as holder of the G-20 presidency. …The European Green Party insists the U.S. has become an international tax haven because, among other things, it has not committed to implement the OECD Common Reporting Standard and various U.S. states, including Delaware, Nevada and South Dakota, have laws that allow companies to hide beneficial owners. 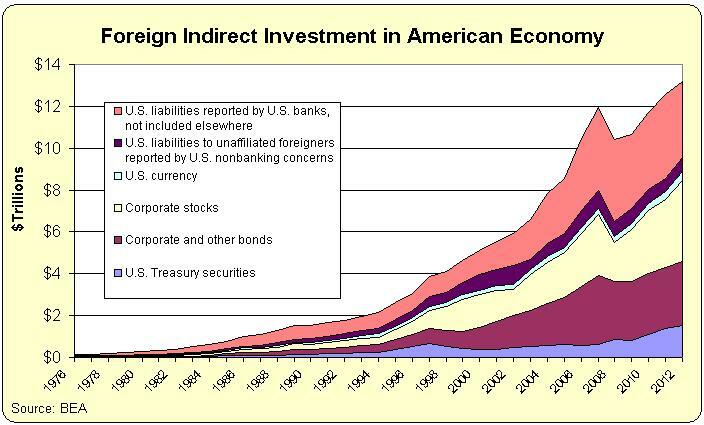 Yes, the United States is a tax haven, but only for foreigners who passively invest in the American economy (we generally don’t tax interest and capital gains received by foreigners, and we also generally don’t share information about the indirect investments of foreigners with their home governments). Corporate income, however, is the result of direct investment, and that income is subject to tax by the IRS. But I suppose it’s asking too much to expect politicians to understand such nuances. For what it’s worth, I assume Mr. Giegold is simply unhappy that a lower corporate tax rate would make America more attractive for jobs and investment. Moreover, he presumably understands adoption of Trump’s plan would put pressure on European nations to lower their corporate tax rates. Which is exactly what happened after the U.S. dropped its corporate tax rate back in the 1980s. Which is yet another example of why tax competition is something that should be celebrated rather than persecuted. It forces politicians to adopt better policy even when they don’t want to. That is what gets them angry. And I find their angst very gratifying. P.S. You may have noticed at the very end of the interview that I couldn’t resist interjecting a plea to reduce the burden of government spending. That’s not merely a throwaway line. 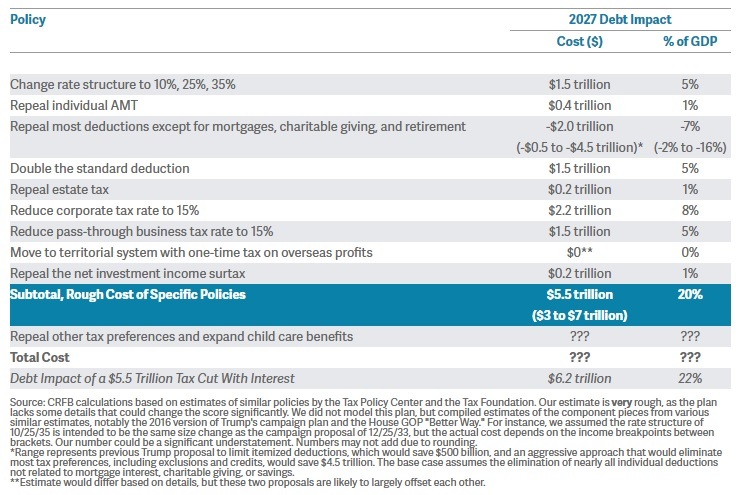 When the Congressional Budget Office released its fiscal forecast earlier this year, I crunched the numbers and showed that we could balance the budget within 10 years and lower the tax burden by $3 trillion (on a static basis!) if politicians simply restrained spending so that it grew 1.96 percent per year. P.P.S. It’s worth remembering that the “race to the bottom” is actually a race to better policy and more growth. And politicians should be comforted by the fact that this doesn’t necessarily mean less revenue. Back in March, I wrote a 50-day assessment on Trump’s presidency. I listed six questions and mostly concluded that there wasn’t enough information to give accurate answers. In other words, if Trump was a student, he would have received an “I” for incomplete. Now that we’re at the 100-day point, I’m tempted to say that his grade hasn’t changed. We still don’t know what he’ll do on issues such as the entitlement crisis, the border-adjustable tax, infrastructure, and red tape. But I feel compelled to issue another report card, so here’s my take on the Trump’s economic performance, based on the five big categories from Economic Freedom of the World. Overall, Trump’s GPA is better than I would have predicted before the election, so I’m pleasantly surprised. But there’s still a long way to go before final exams. P.S. Trump also has generated some first-rate political humor, which is always appreciated. In that sense, he’s no different than his predecessor. I expressed pessimism yesterday about Trump’s tax plan. Simply stated, I don’t think Congress is willing to enact a large tax cut given the nation’s grim fiscal outlook. In this Fox Business interview, I elaborated on my concerns while also pointing out that the plan would be very good if it somehow got enacted. We now have some preliminary numbers that illustrate why I’m concerned. The Committee for a Responsible Federal Budget put together a quick guess about the revenue implications of Trump’s new plan. Their admittedly rough estimate is that federal revenues would be reduced by close to $6 trillion over 10 years. Incidentally, these revenue estimates are very inaccurate because they are based on “static scoring,” which is the antiquated notion that major changes in tax policy have no impact on economic performance. 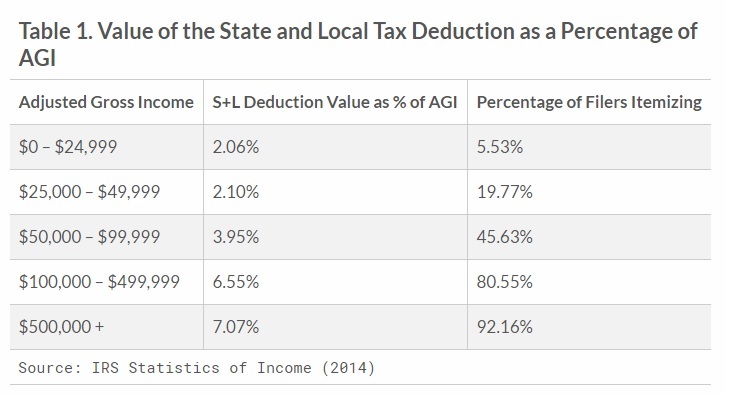 But these numbers nonetheless are useful since the Joint Committee on Taxation basically uses that approach when producing official revenue estimates that guide congressional action. In other words, it doesn’t matter, at least for purposes of enacting legislation, that there would be substantial revenue feedback in the real world (the rich actually paid more, for instance, when Reagan dropped the top tax rate from 70 percent to 28 percent). Politicians on Capitol Hill will point to the JCT’s static numbers, gasp with feigned horror, and use higher deficits as an excuse to vote no (even though those same lawmakers generally have no problem with red ink when voting to expand the burden of government spending). 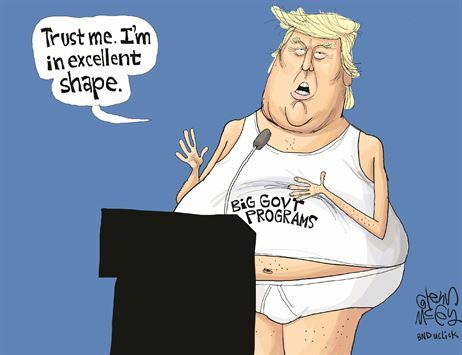 That being said, they wouldn’t necessarily have that excuse if the Trump Administration was more aggressive about trying to shrink the size and scope of the federal government. So there’s plenty of blame to go around. Until something changes, however, I don’t think Trump’s tax cut is very realistic. So if you want my prediction on what will happen, I’m sticking to the three options I shared yesterday. Congress and the White House decide to restrain spending, which easily would create room for a very large tax cut (what I prefer, but I won’t hold my breath for this option). Congress decides to adopt Trump’s tax cuts, but they balance the cuts with dangerous new sources of tax revenue, such as a border-adjustment tax, a carbon tax, or a value-added tax (the option I fear). Congress and the White House decide to go for a more targeted tax cut, such as a big reduction in the corporate income tax (which would be a significant victory). By the way, the Wall Street Journal editorialized favorably about the plan this morning, mostly because it reflects the sensible supply-side view that it is good to have lower tax rates on productive behavior. While the details are sparse and will have to be filled in by Congress, President Trump’s outline resembles the supply-side principles he campaigned on and is an ambitious and necessary economic course correction that would help restore broad-based U.S. prosperity. …Faster growth of 3% a year or more is possible, but it will take better policies, and tax reform is an indispensable lever. Mr. Trump’s modernization would be a huge improvement on the current tax code that would give the economy a big lift, especially on the corporate side. …The Trump principles show the President has made growth his highest priority, and they are a rebuke to the Washington consensus that 1% or 2% growth is the best America can do. But the WSJ shares my assessment that the plan will not survive in its current form. …the blueprint is being assailed from both the left and the balanced-budget right. The Trump economic team acknowledges that their plan would mean less federal revenue than current law… Mr. Trump’s plan is an opening bid to frame negotiations in Congress, and there are plenty of bargaining chips. Perhaps the corporate rate will rise to 20%… Budget rules and Democratic opposition could force Republicans to limit the reform to 10 years. For what it’s worth, if the final result is a 15 percent or 20 percent corporate tax rate, I’ll actually be quite pleased. That reform would be very good for the economy and national competitiveness. And regardless of what JCT projects, there would be substantial revenue feedback. I want tax cuts. I support tax cuts. I relish tax cuts. I like tax cuts because I’m a curmudgeonly libertarian and I think people should have the first claim on the money they earn. I like tax cuts because I’m an economist and we’ll get more growth if penalties on productive behavior are reduced. 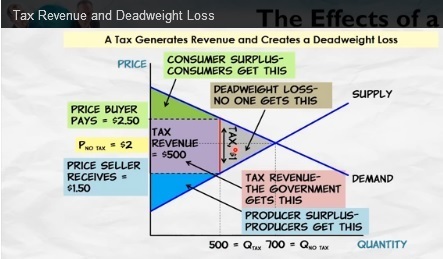 I like tax cuts because the academic research supports the “starve-the-beast” theory of less revenue leading to less spending. 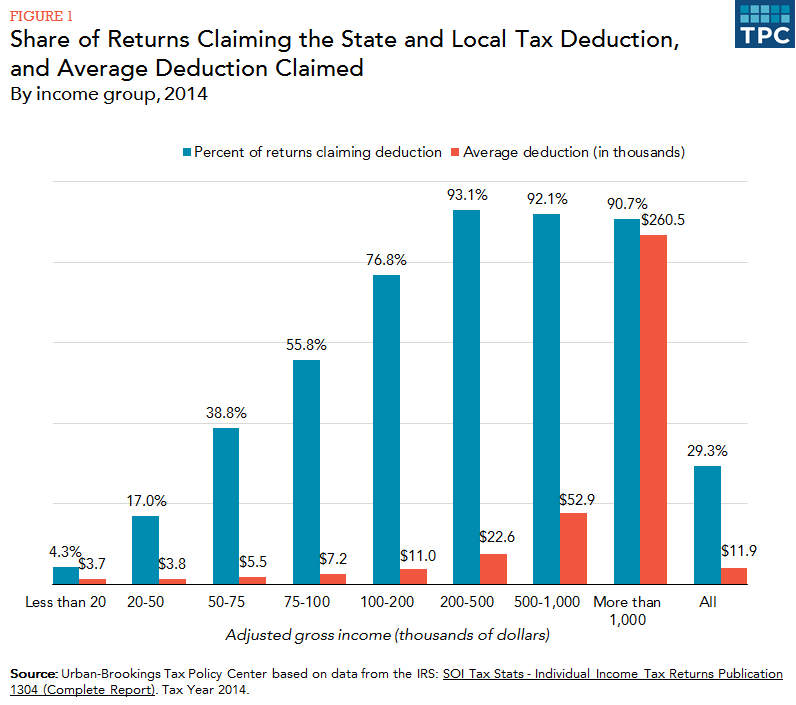 This is why I wrote favorably about Trump’s campaign tax plan, and this is why I like Trump’s new tax plan (with a few exceptions). But I confess that my heart’s not in it. Simply stated, I don’t think the new plan is serious. If Trump really wanted a big tax cut, he would have a comprehensive plan to restrain the growth of government spending. He doesn’t. If Trump genuinely wanted lower taxes, he would be aggressively pushing for genuine entitlement reform. He isn’t. And Congress isn’t much better. At least in the absence of leadership from the White House. It’s not merely that I’m concerned lawmakers won’t put the brakes on spending. And it’s not just that I fear they won’t enact much-needed entitlement reform. I worry they’ll actually increase the burden of federal spending. Just look what’s happening as Congress and the White House negotiate a spending bill for the remainder of the 2017 fiscal year. The pending deal would trade more defense spending for more Obamacare subsidies. Everyone wins…except taxpayers. In this profligate environment, it’s hard to be optimistic about tax cuts. By the way, I fully agree we would get more growth if Trump’s tax plan was enacted. But the Laffer Curve doesn’t say that all tax cuts pay for themselves with faster growth. That only happens in rather rare circumstances. Yes, the lower corporate tax rate would have a big supply-side impact (and there’s plenty of evidence from overseas to support that notion), but many of the other provisions of his plan are sure to reduce revenue. Again, I don’t lose sleep about the prospect of less money going to Washington. But you can be sure that politicians pay attention to that issue. Which is why I’m pessimistic. I don’t think Congress is willing to approve a big tax cut. The bottom line is that there are three possible outcomes. Ultimately, I want to completely junk our corrupt system and replace it with a simple and fair flat tax. But for 2017, I’ll be happy if we simply slash the corporate rate. I’m normally a big fan of shutting down the government and I’ve tried to convince timid lawmakers that shutdown fights can be worthwhile. I wrote a day-by-day analysis of new reports during the big shutdown fight that took place in the Clinton years and showed that there was no downside for Republicans. I also vigorously defended Ted Cruz and others who tried to kill Obamacare as part of the 2013 shutdown battle, and later explained that there was no damage for the GOP. 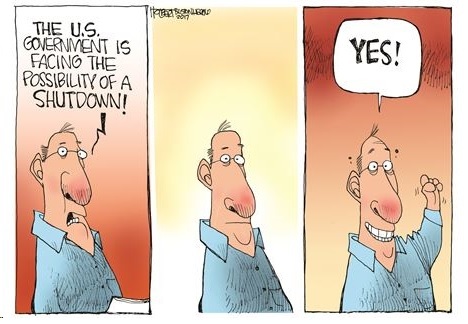 The bottom line is that nothing really bad happens when there’s a shutdown (notwithstanding petty efforts by bureaucrats) for the simple reasons that only “non-essential” parts of the bureaucracy actually get closed. In other words, a government shutdown in all cases is simply a partial shutdown. And since I don’t favor any funding of non-essential functions, I view a partial shutdown as a good start. 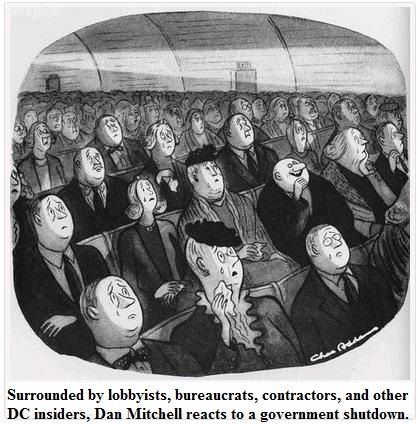 Indeed, while the various interest groups in DC hyperventilate about supposed disaster, I experience a feeling of joy and serenity (as illustrated by this modified cartoon, which originally was altered to show my reaction to sequestration). As far as I’m concerned, the key lesson from shutdown fights is that our nation will be better off if bureaucracies such as the Department of Housing and Urban Development or Department of Education are permanently shuttered. And let’s add the Department of Energy, Department of Transportation, and Department of Agriculture just for the fun of it. These entities shouldn’t get short-run funding or long-run funding. That’s the point I made in the second half of this recent interview on Fox Business. I’m not the only person who likes the idea of a partial shutdown. Writing for the Resurgent, Erick Erickson explains how a shutdown fight would be valuable. Americans need to be reminded that the world will not end if the government shuts down. They need to be reminded to take care of themselves instead of relying on Uncle Sam’s teet. A government shutdown with the GOP in charge would be a far different thing from a government shutdown run by Democrats. President Obama tried to inflict maximum pain on the American people to force the GOP to reopen government. President Trump, instead, could take a different approach and use the experience to show Americans how out of control government has really gotten. And Larry Kudlow had a similar message in a column for National Review back in 2015. …sometimes you have to make a point. Send a message. Show voters what you really believe. Take a stand. …Most of the Beltway media will blame Republicans. Democrats will blame Republicans. And GOP pundits will blame Republicans. Political death, they will say. Really? …during the Reagan-O’Neill era, most of the shutdowns were budget focused. Reagan wanted less spending; the Democrats wanted more. …The Reagan-O’Neill-era shutdowns were short, and in most of them Reagan prevailed. Meanwhile, the Reagan recovery flourished, the Republicans held the Senate (until 1986), and the Gipper was reelected in a landslide in 1984. Going back to the Obamacare-related shutdown of 2013, a bit more than a year later the Republicans swept the Senate and gained an even larger majority in the House. …shutdowns are a cumbersome way to make a point. …But perhaps Republican leadership in both Houses might think of this: There are too many deals and not enough principles, beliefs, and clear messaging. Having now provided all this evidence in favor of government shutdowns, you would think I’m excited about the possibility that there will be a partial shutdown this Saturday when a temporary funding bill expires. Unfortunately, that’s not the case. I view shutdown as a means to an end. I want those fights to occur in hopes that there will be reforms that shrink the overall burden of government spending. In this case, though, the shutdown fight largely revolves around President Trump’s request for money to build part of a wall between Mexico and the United States. Some people think that’s a good idea and others think it’s a bad idea, but the one thing I can say with certainty is that it’s not a money-saving idea. Even if Trump wanted to finance the wall by reducing outlays in other parts of the budget, the net result would not be smaller government. The bottom line is that even though I almost always cheer for a government shutdown, I’ll be sitting on the sidelines for this fight. But if Trump and congressional Republicans at some point decide to fight for much-needed spending restraint (a naive hope, I realize), then I’ll be the first to cheer if that battle leads to a shutdown. P.S. My favorite bit of shutdown humor is at the bottom of this post, and other examples of shutdown-related humor can be enjoyed by clicking here, here, here, here, and here. Every so often, I share an image that is unambiguously depressing. Usually because it suggest that freedom is slowly eroding. A chart showing that corporations are using cronyism to pad their bottom line. A table on the rapid rise of dependency in the United States. A grim chart on the ever-growing number of pages in the internal revenue code. A PowerPoint slide on the ratio of producers vs. consumers in Denmark. A chart showing the relentless expansion of Medicaid dependency. I now have another addition to that depressing list. Just as the Minneapolis Federal Reserve has an interactive website that allows users to compare recoveries and recessions, which is very useful for comparing Reaganomics and Obamanomics, the St. Louis Federal Reserve has an interactive website that allows users to compare national and regional economic data. And that’s the source of today’s depressing chart. 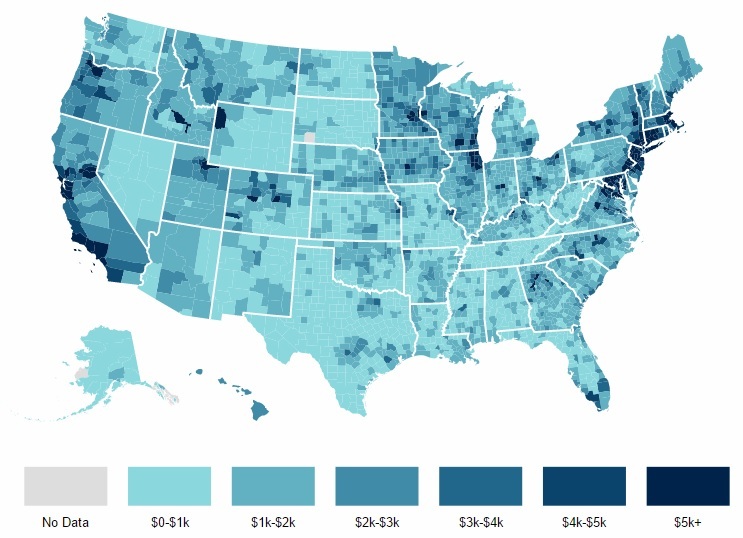 It shows median inflation-adjusted household income for the entire nation and for the District of Columbia. As you can see, the nation’s capital used to be somewhat similar to the rest of the nation. 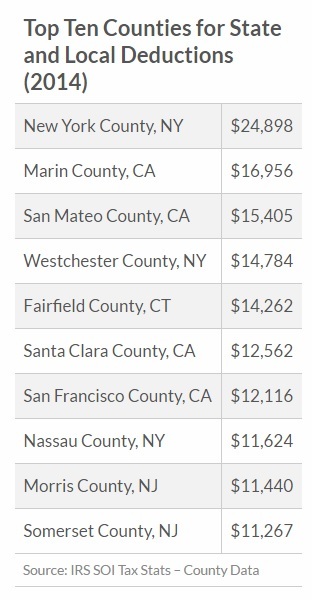 But over the past 10 years, DC residents have become an economic elite, with a representative household “earning” almost $14,000 more than the national average. By the way, I put quotation marks around “earning” in the previous sentence for a very specific reason. There is nothing wrong with some people accumulating lots of wealth and income if their prosperity is the result of voluntary exchange. In the case of Washington, DC, however, much of the capital’s prosperity is the result of coercive redistribution. 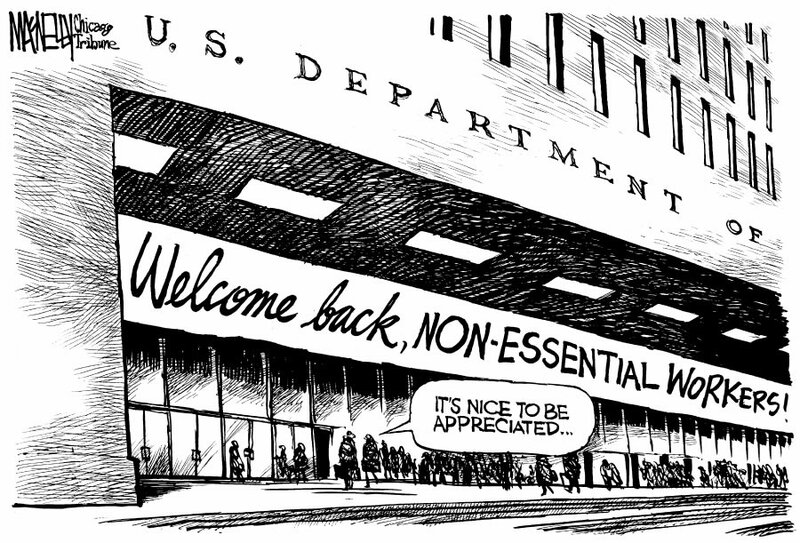 The lavish compensation of federal bureaucrats is a direct transfer from taxpayers to a gilded class, while the various lobbyists, contractors, cronyists, politicians, and other insiders are fat and happy because of a combination of direct and indirect redistribution. I should also point out that the entire region is prospering at the expense of the rest of the nation. By the way, some people will be tempted to argue that rising income levels in DC are simply a result of gentrification as higher-income whites displace lower-income blacks. Yes, that is happening, but that begs the question of where the new residents are getting all their income and why the nation’s capital is an increasingly attractive place for those people to live. The answer, in large part, is that government is a growth industry. Except it’s not an industry. It’s increasingly just a racket for insiders to get rich at the expense of everyone else. P.S. To close on a semi-humorous note, some cartoons are funny even if the underlying message is depressing.